Universal joint adjustable heads are designed and built to provide long and trouble free operation in a production environment. Overall weight and length are averages, actual will depend on the number of spindles, spindle operations and the type power source utilized. 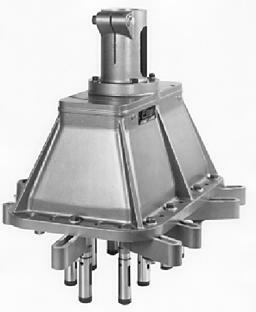 Spindle assemblies are supplied as needed in bracket arm or cartridge styles, many different capacities, spindle options and center distances are available depending on your job requirements and preferences. In addition, we offer the following accessories cartridge plates, bushing plates, fixture bases and several guide rod options. Contact your Rockford-ETTCO salesperson or factory for complete details.